2008 Four Winns 258. Fitted with a Volvo OSI 300HP with Duo prop outdrive. Only 150 Hours. BOATS.CO.UK STOCK BOAT, WARRANTY, PART EXCHANGE OPTIONS, FINANCE AVAILABLE Specification includes; Raymarine plotter, Stereo, Shorepower, Anchor, Bathing platform with stainless safety bar, full canvas canopy, cockpit carpet, wet bar, and much more. This is a high quality finished boat with a good specification and is in excellent condition. You will not find a cleaner, better looked after example that is supplied with engine warranty and PX welcome. 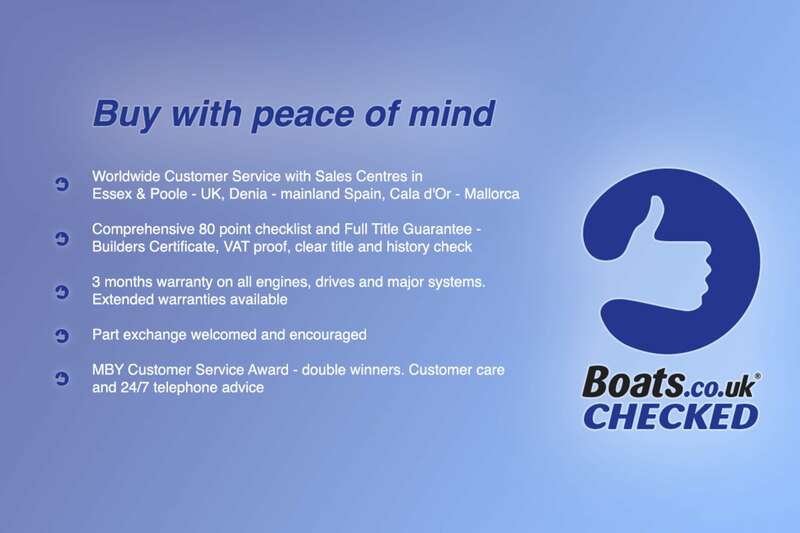 For more information or to arrange a viewing please call Boats.co.uk on 01702258885 or email sales@Boats.co.uk. Buy this boat for as little as £398.33 per month. per month. Insure this boat for as little as £395.45 per year.